Within the mystically resurrected island fortress of Xapur, Conan confronts an ancient demon with skin as hard as iron. Only an ancient dagger can slay the malign spirit, and the blade is there for the taking . 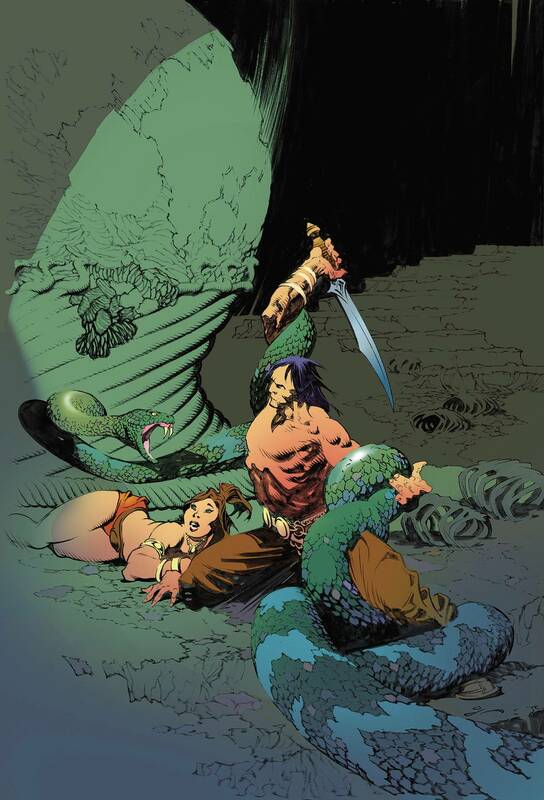 . . if Conan can get past the enormous serpent that guards it! o Superstar writer Cullen Bunn and artist Sergio D?vila team up for a new Conan series! o The adaptation of Robert E. Howard's 'The Devil in Iron'!